Udon Thani Silk: A used piece of hand-washed silk purchased in Udon Thani. 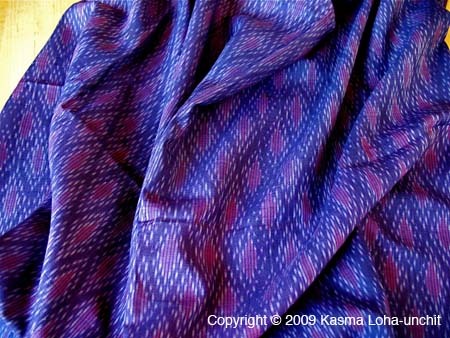 You might also enjoy: Kasma Loha-unchit's blog entry, A Treasure of Northeastern Thailand: Weaving Villages. Kasma will be offering a trip to NE Thailand in Fall 2009.